Directt Ferries come over as uncomplicated and helpful. I found the site and information very accessible, and price good. Quick, easy and great value. A quick and easy service on Direct Ferries website. It provided us with a number of options and all at considerably lower prices than we could get with the ferry operators themselves for the same sailings. Confirmation of booking came through immediately. We highly recommend them to family and friends and others considering using their service. Good for booking ferries but tunnel price was much higher than advertised elsewhere, perhaps to make ferry prices look better. Direct Ferries is your port of call if you are looking to find the best cross channel ferry deals. We compare channel crossing prices from all major operators on each of the English Channel ferry routes. We offer a huge range of ferry tickets from ports all along the UK and the French coastline. Whether you are crossing the channel by car, by bike or on foot, come and book with us. There is choice aplenty with links between 5 English ports and 8 ports across the channel in France. You will be spoilt for choice with 10 different routes operated by P&O Ferries, DFDS and Brittany Ferries. 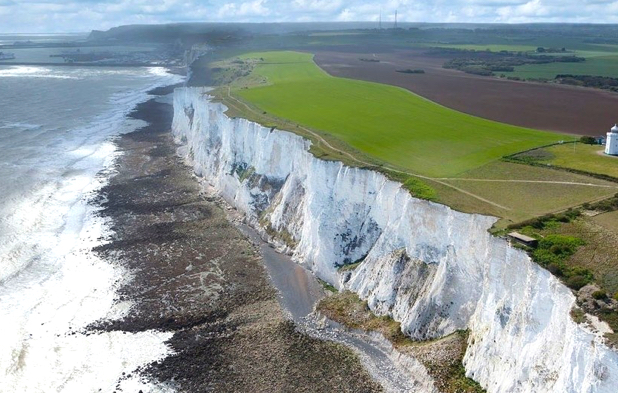 These include the UK ports of Dover, Portsmouth, Poole, Newhaven and Plymouth, as well as the French destinations of Calais, Dunkirk, St Malo, Cherbourg, Caen, Dieppe, Roscoff and Le Havre. So no matter what part of the country you are heading, Direct Ferries has your journey covered. On time no problems and a quiet crossing. Our experience was great! The staff at the port were all very friendly. It was easy to get in and out of the ports. Good value for money, efficient booking, everything went pretty smoothly. I was impressed. The ship kept to its schedule, was clean tidy and quiet. Difficult to avoid the smell of fried breakfast on the outward voyage but on our return the brief smell of some ones curry was soon dispersed. The 'Duty Free' shop seemed less good value than we normally expect so we bought little there this time. The coffee/tea and cakes were good so a happy time was had by us all. Well I got into trouble with my printer going into fail mode, but was surprised by the way I received my bookings through the post ! Thank you. The trip itself was as is usual when I travel with DFDS on time and friendly. Many thanks to all . My wife had broken her leg a week before the crossing and we were well catered for on the ferrybut for ease we took the shuttle home after only 2 days because of being confined to a wheel chair. If you are looking for a cheap channel crossing you can use our fare finder search tool to choose the best times and prices to suit you. Keep an eye out on our website, email newsletters and social media for new and exclusive deals, giving you access to the cheapest ways to cross the channel, all year round. If a quick crossing is just as important as a great price, you are in luck. You can make your journey in no time at all, with some trips taking as little as 1 hour and 30 minutes to complete. If you want to cut down the driving time, sit down, relax and take in the sea views, some of the longer crossings are the ones for you.